Perfect systems solution with the service to match. CasinoFlex Systems International is proud to announce that it has made its first systems installation in Spain. 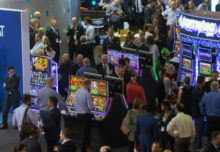 The rising star of the global gaming systems market offers made-to-measure solutions for each and every customer. Its ability to provide flexible, focused management systems that cover all bases, including accounting, TITO management and jackpot management has brought about this success. The fact that CasinoFlex Systems has the service to match has put this company in the driving seat for this first installation. Mr. Sergio Gallego as Sales Manager in Spain for CasinoFlex Systems together with local distributor PEJ ensured that this installation went smoothly from beginning to end. “This first installation in Madrid means a great deal”, stated Sergio Gallego. “We see this as a reference that will serve to drive future demand. We already have a number of operators interested in working with us and will be very busy in the coming months. Mr. Gallego reports to Bas Baarbe, co-founder and Technology Director at CasinoFlex Systems. Mr. Baarbe added, “Our congratulations go to PEJ and my colleague Sergio in winning this key contract. We feel that we are very much on the map for systems in the global gaming market. We work very hard to ensure that each customer gets exactly the system he needs. That is our philosophy and the market has reacted strongly and positively to this. We will continue to focus on our individual customer needs and look forward to expanding our business to ensure that ever more operators can profit from what we have to offer”. 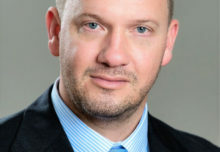 “The only way is up”, concluded Mr. Tim Klok, Managing Director at CasinoFlex Systems. “This is great news – we are very pleased”.